House/apartment rental prices range from $150 for a small flat to $5000/month or more for a luxury villa, but most find a place for between $200 and $800/month, plus utilities. Prices, of course, depend to a degree on location, but on average: flats, usually consisting of one floor of a shophouse style building (pteas l'veng) run $200-$500/month; shophouse buildings for $500-$2000 and up); modern/serviced apartments for $400-$2000 and up; villas for $700-$3000 and up. Housing in the Boeung Keng Kang 1 (BKK1) area and the riverfront area are popular with foreign residents, but tend to be more expensive than other parts of town. Prices, on average, tend to get lower the father away from the city center. Bear in mind that some parts of the city are more prone to rainy season flooding and an unreliable electricity supply. Most rental contracts require a security deposit of at least one-three months, to be applied against the final month(s) of the contract. 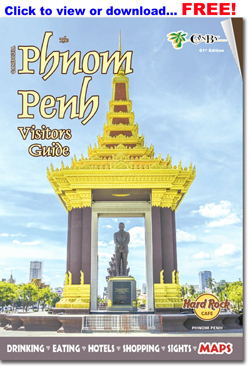 To find a place of your own, spread the word, tell your Cambodian friends and they will bring you lots of options. If you have the time, just drive around desirable neighborhoods looking for 'For Rent' signs. Realty companies list rentals and can be quite helpful in meeting your exact requirements and interacting with the landlord, but these rentals tend to be comparatively more expensive. Those staying short term or on a tight budget may consider arranging a monthly rate with a hotel. Several hotels in the BKK1 area cater to NGO/IO workers on medium-term stay, offering reasonably priced, serviced rooms. #209 Street 51, Phnom Penh, Cambodia. 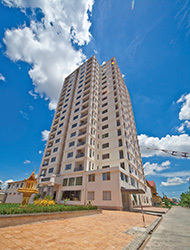 Cambodia Angkor Real Estate Co., Ltd. The Rooftop Real Estate Co.
#177 Sisowath Quay, Phnom Penh, Cambodia. 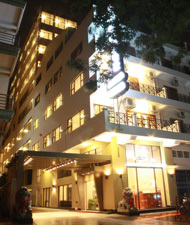 #199E, St. 63 corner St. 306, BKK1, Phnom Penh, Cambodia. #195 corner St. 130/Sosowath Quay Phnom Penh, Cambodia. 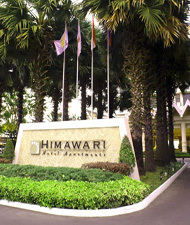 Finely appointed and furnished rooms and suite available by the day as hotel rooms and as apartments. Meeting and banquet facilities. Restaurants and bars. #313, Sisowath Quay, Phnom Penh, Cambodia. #33Eo Street 178, near the riverfront area, Phnom Penh, Cambodia. New hotel and apartment accommodations just off the riverfront in the heart of the city. Well-appointed rooms suitable for business and pleasure travelers. #2, Street 136, Phnom Penh, Cambodia. #Wat Chas Road, Chroy Chongva, Phnom Penh, Cambodia. 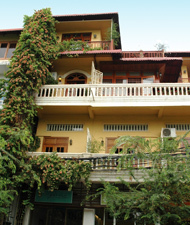 #12-14B Street 111 corner 198, Phnom Penh, Cambodia. New residential service apartment, fully furnished and centrally located. One and two bedroom apartments with full kitchen. Minimum 6 month lease. #109-135 Street 144, Phnom Penh, Cambodia. 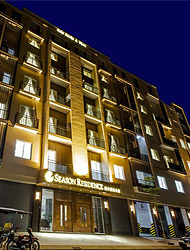 Offering both hotel rooms and milti-room serviced apartments. Studios, 1, 2 and 3 bedroom apartments available by the month. Fully furnished. Full kitchen. #70AB Street 288, Phnom Penh, Cambodia. Boutique shops offer high quality and custom made furniture. For something a bit more off-the-rack, there are half-dozen furniture stores on the east side of Monivong between Sihanouk and Mao Tse Toung selling quality imported home furniture. For something more local, there is also a cluster of shops along Monivong near Street 466 specializing in locally made wood furniture. The least expensive option are the wicker and light wood furniture that can be found at the little shops that line the curve of Sothearos near the intersection of Norodom. Beyond Interiors carries a broad range of modern and classic products including high-end furniture, stylish home d�cor, and sustainable design solutions for the home and office. Additionally, Beyond Interiors offers a range of services including interior design and construction, lighting design, textile design and marketing and branding solutions. Visit their showroom to learn more and help visualize d�cor solutions for both residential and commercial spaces. #14, Street 306, BKK1, Phnom Penh, Cambodia. Offers a range of high quality interior design and architectural solutions for home and commercial business needs. Services include expert advice on architectural work, interior design, custom made furniture, home accessories and Feng Shui. Living I Ching D�cor works with Cambodian designers to create smart and unique pieces for the home. The showroom offers a range of interior products from window dressings to kitchen ware, dining, living and bedroom suites, glassware, soft furnishings, lighting and other home accessories. 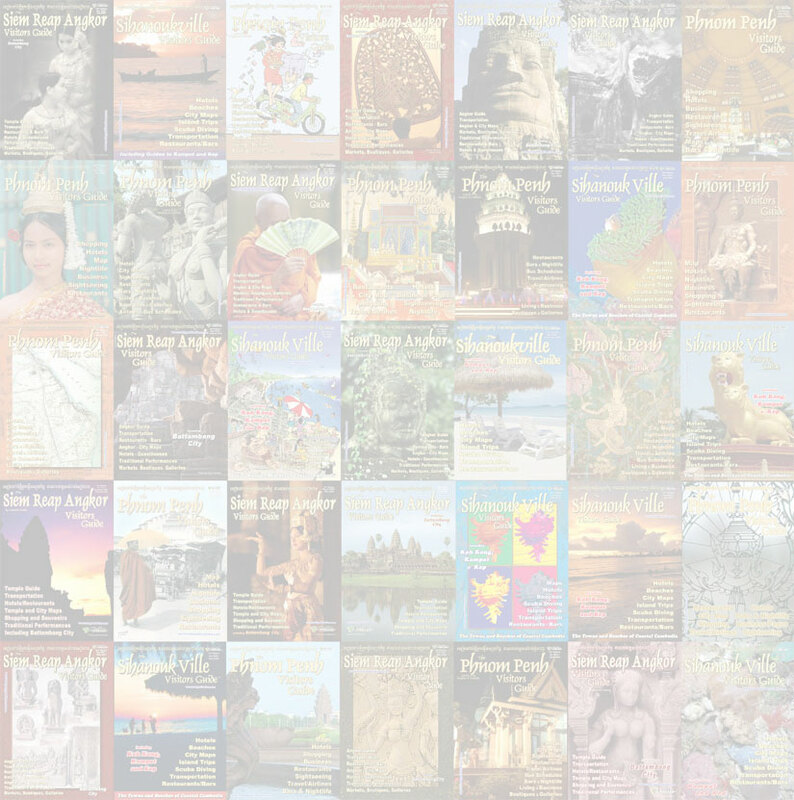 Products are sourced from suppliers in Cambodia, Vietnam and Thailand. For bedding, drapery, d�cor and interior design check out the boutiques section. Of the local markets, Phsar Thmey and Phsar Toul Tom Poung, both have the large selections of table and kitchenware, offering a huge selection of imported Chinese and Vietnamese and local plates, bowls, cups, cutlery, pots, pans, etc. For something more stylish, boutique shops such as I Ching D�cor offer quality tableware and sets. See the boutiques section for more. Importing a range of products that covers all of a baby�s basic and are available at markets throughout Phnom Penh and Siem Reap. Wipes, oil, soaps and diapers safe, quality products for children. #43BC, Street 222, Phnom Penh, Cambodia. #3AB, Monireth Blvd., Phnom Penh, Cambodia. Wat Phnom, Street 19, Phnom Penh, Cambodia. #442D, Monivong, Phnom Penh, Cambodia. Behind the Railway Station, Phnom Penh, Cambodia. For telephone companies see here. For Internet providers see here. High quality international primary and secondary education is available in Phnom Penh, though it is not inexpensive and class space is limited at certain levels. With the quickly growing number of expatriate families and general increased standard of living, the demand for quality international education is beginning to exceed supply. Many international schools have long waiting lists. Make sure to get your children on the list early. 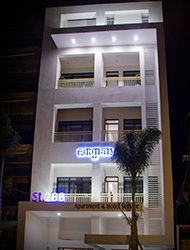 #85, Sothearos Blvd., Phnom Penh, Cambodia. Hun Neang Boulevard , Phnom Penh, Cambodia. Northbridge Road, Phnom Penh, Cambodia. #14, Street 398, Phnom Penh, Cambodia. #124, Norodom Blvd., Phnom Penh, Cambodia. #65, Street 240, Phnom Penh, Cambodia. 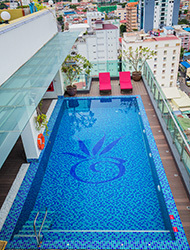 Hotel Cambodiana, Phnom Penh, Cambodia. #15H, Street 118, Phnom Penh, Cambodia. #113, Mao Tse Toung Blvd. (Parkway Square), Phnom Penh, Cambodia. #70, Confederation de la Russia Blvd., Phnom Penh, Cambodia. Meeting Saturday, Almond Hotel, 9:30AM, and last Fridays at 12:30PM at InterContinental Hotel. #98c, Street 108, Phnom Penh, Cambodia. #216B, Street 63, Phnom Penh, Cambodia. #33, Street 294 Corner Street 29, Phnom Penh, Cambodia. #56, Sothearos Blvd., Phnom Penh, Cambodia. #54, Sihanouk Blvd (next to Lucky Market)., Phnom Penh, Cambodia. #95, Street 101, Phnom Penh, Cambodia. #23, Street 428, Phnom Penh, Cambodia. Khmer at 8:00AM; English at 10:00AM. # 57, Street 294, Phnom Penh, Cambodia. Bahai Center, #7 Street 184, Phnom Penh, Cambodia. Sundays. English: 10:00AM; Khmer: 5:30PM. Russian Cultural Center, Street 222, Phnom Penh, Cambodia. #19, Street 310, Phnom Penh, Cambodia. #58, Street 294, Phnom Penh, Cambodia. Mass every Saturday in English at 5:00PM at #20, Street 71; Mass first and third Saturdays in French at 5:00PM at 1788-B Ntl. Rte. #5. Mass in German. 11AM, Sunday. St. Joseph�s Chapel. #267, Street 63, Phnom Penh, Cambodia. #19/21, St 330, BKK 3 (Near Toul Sleng Museum), Phnom Penh, Cambodia. Sundays, 10:30AM; World Vision Building. #20, Street 71, Phnom Penh, Cambodia. 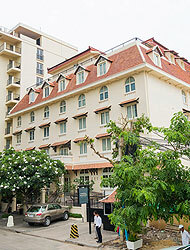 Holiday Villa Hotel, #89, Monivong Blvd, Phnom Penh, Cambodia.